Digit is a simple but powerful app that can help jumpstart your savings goals. In this review, we explain its features and explore if it can work for you. In this Digit review, we’ll explore how the app works, explain its features, and help you decide if Digit can help you save more money. Enjoy! Saving money is kind of a big deal, right? Unfortunately, if you look at an average American’s bank account, it doesn’t seem that way. According to Bankrate, the average American has less than $5,000 in a financial account. Worse, a majority of Americans can’t cover a $1,000 emergency with their savings. Ouch. So, how can we all stop spending so much and start saving more? The best way to kickstart our savings habits might be through automation. Digit.co is a simple app that can help you grow your savings stash by automating the saving process. The app makes it super simple to save without even thinking about it. Still, Digit isn’t right for everybody. So, let’s dig in and find out if this is a good tool for your situation! Digit is a financial app for both iPhone and Android devices that was designed to help you save money through the power of automation. Essentially, it helps you save more without thinking about it. To do this, Digit connects to your bank accounts and observes your spending patterns. Then, the app transfers small amounts of money to a savings account for you on a regular basis. Saving more is super easy because the app makes the saving decisions for you. So, where is Digit available? There’s a very good chance you can use Digit already. The app currently connects to over 2,500 banks and credit unions, so your current bank is likely on the list. With that said, although expansion plans are in the works, Digit is currently for US-based customers only. To get started with Digit, simply sign up for a new account and connect your banking information to the program. Once connected, the app analyzes your spending habits and automatically moves money into your Digit account at regular intervals. It’s as simple as that. The money saved in your Digit account can be accessed at any time. Even better, since the money is being moved automatically, you won’t miss the money that is being set aside. This makes boosting your savings super easy and practically painless. So, what happens if Digit accidentally saves too much? Well, since Digit analyzes your spending, they have a pretty good handle on how much they can withdraw from your account at any given time. However, if on the small chance they do overdraft your account, Digit offers overdraft reimbursement…so the fee is on them! Save Money, Zero Effort – Digit is a great way to boost your savings with zero effort. After analyzing your spending habits, Digit automatically saves the perfect amount of money for you each day. It’s quick, it’s easy, it’s painless. Get started here. Digit claims to use state-of-the-art security procedures to protect your personal information. They also claim your info is “…anonymized, encrypted, and securely stored.” And, while they are not a bank themselves, all of the funds held by Digit are placed into accounts that are FDIC insured up to a balance of $250,000. So, how much does Digit actually cost? In the past, Digit actually offered their service for free. Though no longer the case, the small monthly fee is still pretty reasonable. Currently, Digit is free for the first 30 days. After that, it costs just $2.99 a month. If you’re counting, that’s only $35.88 per year to use the service. Personally, I think it’s an extremely small price to pay for something that could have such a big impact on your life – especially if you’re currently struggling to save. For an annual cost of a single decent dinner, Digit could help you save hundreds of dollars – with almost zero effort! With that being said, don’t count on Digit for your entire monthly financial plan. It’s best used in conjunction with other tools – like creating a budget, stocking an emergency fund, and tracking your spending. Additionally, Digit should not serve as the sole basis of your long-term wealth building strategy, either. 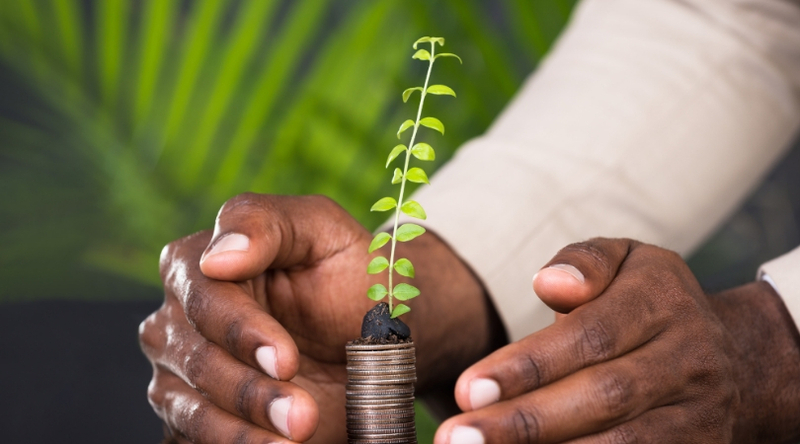 While it can provide a great kickstart to individual savings goals, like starting an emergency fund or saving for a vacation, it’s important to learn how to start investing in ways that can help you grow significantly more wealth over time. Automatic adjustments: Digit adjusts how much it saves each week depending on your spending habits. This means it can identify when you have extra money that can be stashed away. It can also back off a bit if your regular bills are higher than expected. No minimum needed: There is no minimum balance requirement for your Digit account. There are also no penalties for emptying it. Overdraft fee protection: Digit believes they have the automation process down to a tee so that overdrafting shouldn’t happen. With that said, in the rare case that it does, they will reimburse you for up to two instances of overdraft fees. 1% Savings Bonus: Digit is not a bank, so it does not offer an APY on savings. However, they do offer a 1% annualized Savings Bonus when you save with Digit for three consecutive months. Digit Pay: Set credit card debt goals and Digit will automatically make an extra payment to those cards each month through Digit Pay. Goal Setting: If you have never created a savings goal, Digit could be a great launching place. You can create as many savings goals as you wish. Friend Referral: It’s always nice to get a little kickback. You can earn $5 for every friend you refer to Digit.co. If you’re having trouble saving, Digit might be the app to finally make your money goals come true. Many consumers are busy or trapped in the mindset that they will never save money. Digit customizes itself to your spending habits, putting money aside even if you are too busy to do so. Pocket change can add up quickly. Even if the app only took $4 out of your account every three days, you would have about $487 saved every year, or about $451 after the annual fee. For some, this might not seem like a lot; for others, this could be the most money they have ever saved in their life. Additionally, Digit is great for helping you save for your extra savings goals. It’s perfect if you want to save for things like a weekend trip, Christmas shopping, buying a new car, and more. Need Help Saving? – Let Digit save for you! Digit analyzes your spending and automatically saves the perfect amount of money for you every day. Saving more is as simple as signing up! Start saving more with Digit here. Obviously, I think the app is pretty great…but it isn’t a miracle worker. Digit isn’t going to make you ridiculously rich or transform you into a money magician overnight. Just like you can’t outrun a bad diet, a smart app isn’t going to reverse the bad spending habits you may already have. The fee is also a bit of a stickler, since it makes the savings bonus pointless unless you save more than $300 a month with Digit. If you’re looking for growth on your savings, you’d be better off using a savings account like CIT Bank’s Savings Builder. With that said, Digit isn’t really built for growth; it’s an app designed to help you start saving without having to put forth a bunch of effort. Finally, some people might be turned off by the fact that Digit is only available to use through a smartphone. Although you can sign up at the Digit desktop site, you can’t make transactions there. Since Digit is targeted mostly at tech-savvy individuals, most users will likely be fine with this. People living paycheck to paycheck – If you feel like there is too much month and not enough paycheck, Digit is probably worth a try. It can help beef up your savings without any effort on your part. Those with underweight emergency funds – For those who don’t have an emergency fund, or those whose emergency funds are a little light, this is a great way to start socking money away for the inevitable speed bump. Even if you try it free for 30 days, it can open your eyes to how much money you can save if you were just a little more intentional. People who want to save effortlessly toward a goal – Are you somebody who wants to travel more? Are you hoping to buy a new car in the future? Are you having trouble setting money aside for these goals? Digit may be for you. Those struggling with credit card debt – If you feel like you can’t make any headway with your credit card debt, Digit might be of aid. Digit Pay can help you set a “credit card debt” goal, then automatically move money from your checking into your credit card debt reduction goal, based on what you can afford. Then, it will automatically make an extra payment on your credit card with the amount that’s been saved for the goal each month. Super savers – If you are already rocking your savings game, Digit probably isn’t what you need. Stick with what you’re doing and keep doing it well. Diligent money managers – If you have a well-established budget and are diligent with transferring money from your checking account to your savings or investment accounts, then you probably don’t need this app. Money shifters – If you’re trying to fool yourself by transferring money to Digit then back out again, this isn’t a good fit. You’d basically be paying $2.99 for nothing but wasted time. If you’re going to use this app, you need to learn a little bit of self-control and not touch the money you save. So, is using Digit a good idea? That’s up to you. As a super saver myself, I don’t need this app to reach my personal savings goals. On the other hand, I’m not the norm. If you’re struggling to save and you think Digit can help, I’m all for it. The app makes it easy for you to quickly build savings by automatically transferring money for you. 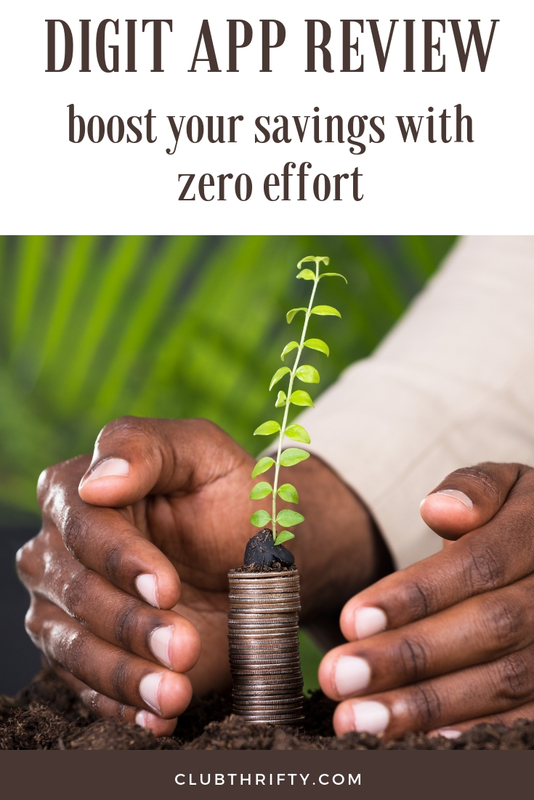 It’s practically effortless, and it can provide a great jumpstart to boost your personal savings. Thanks for reading, and I hope this Digit review has been helpful! If you’ve used Digit, we’d love to hear your thoughts about it in the comments below. Start Saving with Digit – Boost your savings effortlessly with Digit! Simply connect your accounts and Digit will automatically do the heavy lifting for you. Even better, the first month is free! Get started here.